Travel to Andros island, Greece: The island of Andros is easily accessible by ferry from the port of Rafina, on the north eastern side of Attica. There is no airport in Andros but the closest is the International Airport of Athens that receives many internal and external flights. Here are travel information about the nearest airport and flights, ferries but also useful numbers, pdf guide and information about our travel services. There is no airport in Andros. The nearest airport is the International Airport of Athens, that receives internal and international flights all year round. The airport of Athens is only 30 min by bus from the port of Rafina. All ferries to Andros depart from Rafina, not Piraeus port, and the trip takes 2 hours. There are no ferries from Piraeus to Andros. All ferries to Andros depart from the port of Rafina, the closest port to the airport of Athens. There are frequent buses from Athens airport to Rafina and the bus trip takes 30-40 min. Ferries to Andros depart 3 or 4 times per day and they also connect Andros with other islands of Cyclades, such as Tinos and Mykonos. Use our travel services in Andros and organize your holiday to this beautiful island of Cyclades. 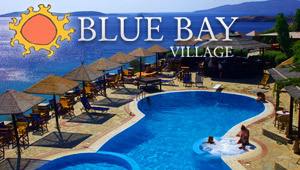 Have a look on the Andros hotels that we suggest or book your ferry tickets through our online system. If you need to rent a car in Andros, also make a car reservation. If you do not wish to get into all these details, just ask us to plan your holiday trip. Download a pdf guide of Andros with information about all things to see and do.